If you are buying a home, you need to know exactly what you are getting and what shape it is in. A home inspection, performed by a professional home inspector, will reveal any hidden problems with the home so that they may be addressed BEFORE the deal is closed. You should always include the right to inspect in your offer unless this right will put you in a disadvantageous position. Make sure the contract has an inspection contingency, or right to cancel, as well. Then, hire your own inspector and pay close attention to the inspection report. If you aren't comfortable with the home inspection report, you should consider cancelling the agreement or asking the seller to remedy the issue(s). Likewise, if you are selling a home, you want to know about such potential hidden problems before your home goes on the market. Almost all offers to purchase include the condition that the contract is contingent upon completion of a satisfactory inspection. And most buyer's are going to insist that the inspection be a professional home inspection, usually by an inspector they hire. If the buyer's inspector finds a problem, it can cause the buyer to get cold feet and the deal can often fall through. At best, surprise problems uncovered by the buyer's inspector will cause delays in closing, and usually you will have to pay for repairs at the last minute, or take a lower price on your home. 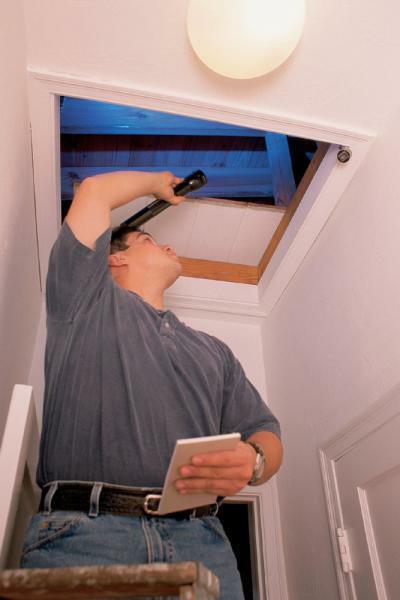 Get your inspection beforehand so that you are confident about the condition of your home. Otherwise, you can count on the buyer's inspector finding them, at the worst possible time.